In 1996, I moved to Auckland to work for an audio-visual company. I was 22 and my starting salary was about $45,000NZD. In the same year Kobe Bryant moved to LA and started playing for the Lakers. He was 17 and his starting salary was $1,015,000USD. In 1997 I bet a co-worker that my Lakers would beat the Bulls in the NBA Finals. It was a silly bet, but I believed I had a chance, coz of this kid called Kobe and this monster called Shaq being on my team. I lost the bet. She framed the $100 bill. I was thinking of that today as I watched Kobe's final ever game for those same Los Angeles Lakers. A different NBA. A different world. But still the same fire, same intensity, same Kobe. He went out as only he could. I've been a Lakers fan since the mid 1980s, growing up in the basketball mad Philippines, and watching Showtime highlights on grainy AFRTS broadcasts. I'd never even been to the USA, let alone LA, and I was below average at basketball; but I loved watching Worthy, Cooper, Abdul-Jabbar and Magic just do their thing. It was fun to watch and they won doing it. 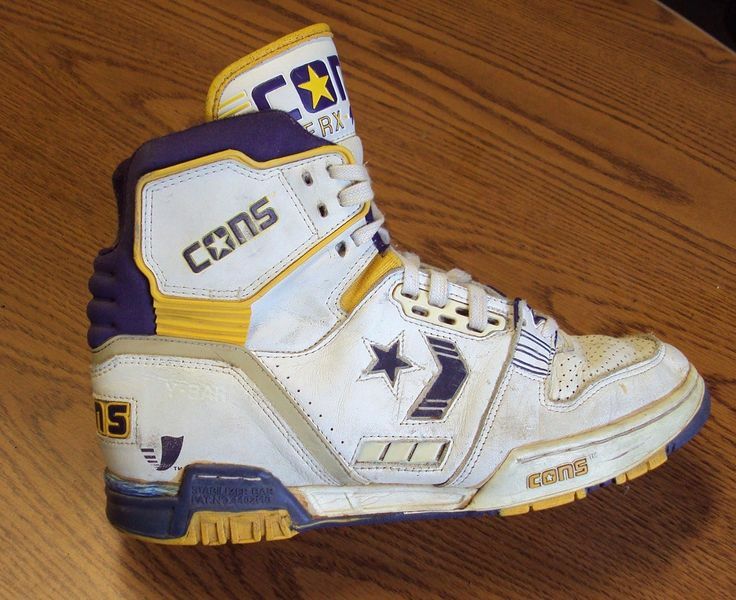 I owned a pair of Magic's Converse Weapons, that were my pride and joy. When I returned to Christchurch in 1991, those shoes were an alien item in a world of Nomads and Bata Bullets. I knew I was cool, because Magic wore them - but that didn't really matter because none of my peers knew what the NBA was. Still I'd wear them to Pioneer Stadium to play school volleyball on a Monday night. Never really fitting in, but being OK as I was wearing purple and gold. I remember sitting in the lounge of our house in Papanui, when I saw this announcement, my head in my hands, just wondering what was going on with the world. I remember wondering who Randy Pfund and Del Harris were, and why the Lakers seemed so dull. So the signing of Kobe, along with Jerry West stealing Shaquille O'Neal as a free-agent in 1996 seemed like the dawning of a bright new age. Of course it took 4 more years, and a 100 dollar bill before Shaq and Kobe were able to claim the first of their three championships together. I was in the UK during the three-peat, spending more time following Arsenal, and living just down the road in Exmouth Market. So I missed most of that time. And then working his way back between 2006-2010, the 81 points against the Raptors, the chemistry with Gasol, Artest, Fisher, Odom, and Bynum, the MVP, the two Finals MVPs, and two more championship rings sans Shaq. But in that time Durant, LeBron, CP3, Blake, Westbrook, Curry, Irving, Lillard have all risen, and the NBA has moved on. Post 2010 Kobe become a symbol of all that was wrong with the Lakers organisation - Los Angeles no longer the prime destination. The CP3 deal could have made it all different but it wasn't to be. The Howard-Nash era began with the highest of hopes, but then unravelled so quickly. He became a great polarizer - equally hated for being Kobe and loved for being Kobe. Be selfish and shoot 50 shots!! In 2014, I decided to stop shaving my head, and Bundy became my barber. An avid Laker fan, my haircut sessions became when we'd catch up on what was what, and who was hot. And since he announced his retirement mid-season, much has been written about Kobe and his place in the league, including this fantastic piece from former team-mates. So watching his final game today was fun, a real throwback, to not quite Showtime - but to a time when a 22 year old single me watched a young upstart with an afro channel MJ, running the court with a colossus nicknamed Big Aristotle, while a guru-like Coach and his assistant Tex, started to build the West Coast Triangle. That took me back where it started, moving on from being 'like Mike', wanting to be that casual, that intense, that supreme. Knowing you never could, but knowing it was OK to dream like that, and that owning the shoes could lift you if not not in reality, but in your mind.